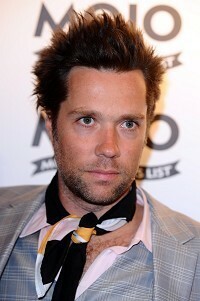 Rufus Wainwright has spoken of his newborn baby daughter, describing her as "very beautiful little angel". The gay singer-songwriter welcomed Viva Katherine Wainwright Cohen with partner Jorn Weisbrodt, whom he calls "deputy dad", and Leonard Cohen's daughter Lorca. "Darling daughter Viva Katherine Wainwright Cohen was born on February 2, 2011 in Los Angeles, California to proud parents Lorca Cohen, Rufus Wainwright and Deputy Dad Jorn Weisbrodt. The little angel is evidently healthy, presumably happy and certainly very very beautiful," he wrote on his website. Referring to himself as Daddy No 1, the proud father added: "Daddy #1 would like to offer everyone a digital cigar and welcome the little lady in with a French phrase from his favorite folk song, A La Claire Fontaine : "Il y a longtemps que je t'aime, jamais je ne t'oublierai." Rufus also said Lorca was not a surrogate for Viva, but her mother in every respect. "She did not carry the child for someone else. Lorca Cohen is the mother of the baby and Rufus Wainwright is the father," he wrote. Veteran director Paul Bogaev has been hired to work with U2's Bono and The Edge on the sound and arrangements for trouble-plagued Broadway musical Spider-Man: Turn Off the Dark. She Wolf singer Shakira has been pictured holding hands with Barcelona football player Gerard Pique as they entered a restaurant in the city.